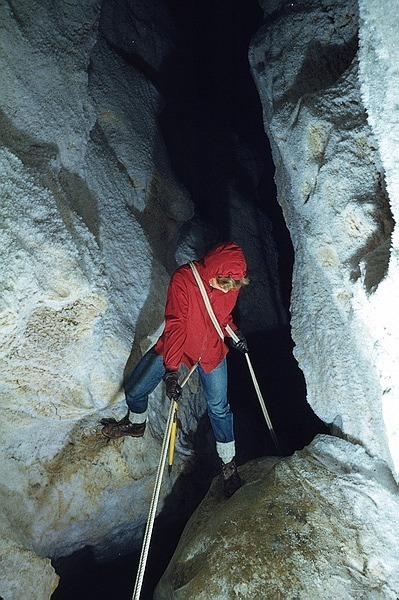 Recently, a new, massive cave complex was discovered in the Kaweah River watershed. From the pictures in the below link, it appears to be quite spectacular. What absolutely burns me is that none of us will ever have access to it. It is being reserved for a select few to explore. This is a total crock of you know what. It is on public land and all of us own it. I guess they should have just put a gate across the entrance to Yosemite to lessen the impact. Elitists snobs who think they are better than the rest of us irk me. I have a notion to find this place and go in anyway...hopefully before they can get a gate up. What an interesting article, and how exciting. As I was reading it, my first reaction was...OK, let the scientific world close it off as they document it, record the findings and manner and types of formations, and whatever else they need to do in a "pristine" cave finding... and then open it to the public. But.... what was upseting about this article was the comment in the second-to-last paragraph stating "No more than a few dozen people will ever see Ursa Minor, and those who have will never forget it". The WILL EVER was shocking. As you pointed out, Mountaineer, the cave is located in a National Park and I'm sure all efforts going into it now are funded with tax dollars. Hopefully, this article was short-sighted. I don't have a problem with developing a plan to open it to the public - I don't necessarily think they should just throw the doors open to the public and take the chance of it being destroyed by over-zealeous explorers or vandals... and it takes time to put controls in place i.e. Carlsbad Caverns and the caves in South Dakota, etc. Anyway, it'll be intersting to follow up on this. I just get tired of the elitist attitude...and the attitude that everybody that comes to the parks is a bumbling idiot intent on destroying the land. You are always going to have a few fools and vandals, but just learn to deal with them. Don't shut everything down and restrict us respectful people just because someone in the crowd might mistreat something. With that attitude, we might as well shut down everything but the city streets. Here is a cave my dad co-discovered in the 1950's, it is still open to whoever can find it and has the gonads to explore it. Rosabella wrote: What an interesting article, and how exciting. As I was reading it, my first reaction was...OK, let the scientific world close it off as they document it, record the findings and manner and types of formations, and whatever else they need to do in a "pristine" cave finding... and then open it to the public. I don't know if the 'will ever' is factual, or just somewhat sloppy writing by the reporter. I really don't have a problem with the Park Service doing whatever it takes to make sure this amazing natural feature isn't destroyed. (Vandalism is a very real concern, unfortunately; so is the impact of too many people all at once.) If that means keeping out the public entirely, too bad...but I'm okay with that. I hope they can open it to the public at some point, if that's compatible with preserving the cave, but I really don't think that's the most important thing. Rosabella wrote: Hopefully, this article was short-sighted. mountaineer wrote: I just get tired of the elitist attitude...and the attitude that everybody that comes to the parks is a bumbling idiot intent on destroying the land. You are always going to have a few fools and vandals, but just learn to deal with them. Mountaineer, in principal I agree with you that there are way too many restrictions in National Parks such as quotas, BASE, Hangliding, Guided Climbs etc.....but caves are really a different matter. Remember that a goal of the Parks is preservation and maintenence for FUTURE use be it scientific use or recreational use. I don't see the park's view as elitist in the least on this particular issue. I think when it comes to caves vandalism and bumbly idiots are but a small part of the whole picture. 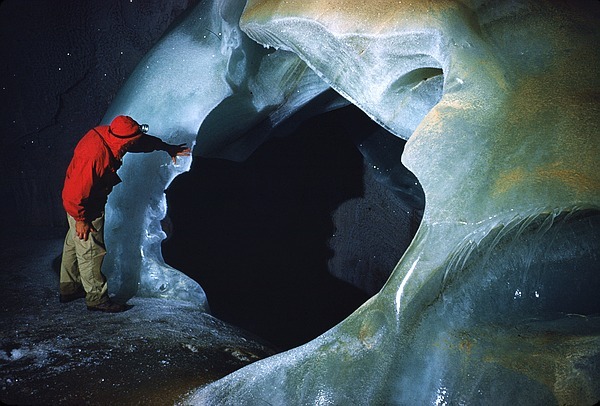 -Human contact in caves invariably means an increase in overall cave temperature...usually a bad thing. No matter how well intentioned. -Human contact usually means oil in places where oil doesn't belong either from direct skin contact or skin to cloth to cave contact...1000's of years handiwork destroyed in seconds.....caves are among the most fragile ecosystems anywhere...Human presence in the smallest amounts is a MAJOR disruption. Caves may be the one place where your breath actually kills. -Most caves are not laid out for easy human access....that means crawling, bumping, pushing, ropes, jumars, beeners, dirt, germs and micro organisms being brought into a closed ecosystem that has done well for thousands of years specifically because it was CLOSED ...it's like bringing a bag of measles and a jack-hammer to a nursing home. -Then there's the fact that 27 new species were discovered in 2 Sequoia Caves in the last 5 years that exist nowhere else on earth....do we really want human intrusion??? ?Is it desirable even in small controlled groups??? Some caves are open to the public, some are closed ....some are gated some are not...there are 230+ caves in the region that are known....most people know of 2 or 3...The USGS stopped showing caves on Topos with the 7.5 minute series for a reason.....the caves on the maps were getting thrashed. It wasn't a few idiots, it was a few generation of idiots. -The point is that there's lots of good policy reasons to prohibit access....and I can't disagree...They closed Lascaux in France and created a duplicate because human heat along with some mechanical issues was allowing a cave destroying fungus to grow....Bottom line is that time and time again....Human + Cave = destroyed cave....even in highly restricted caves this is generally true. -If you need proof you can go to clough or paradise cave and see the broken beer bottles and broken stalagtites-mites...if you can find them and if you can get in. The parks could be criticized for a lot of things.......cave management is one of things they've done pretty well on. That's just an opinion though, and I definitely understand your anger at their overall elitist tendencies. Everything you said is right on PC. 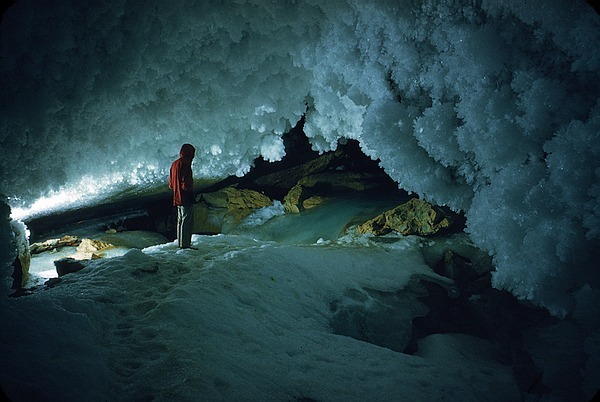 Not opening a cave to the public just means that it won't be a "show cave" like Crystal Cave, or Boyden, etc. Caves, which are “open” to the public, have trails and lights installed, and they receive heavy traffic due to that fact. If you really wanted to see that cave up close and personal, as well as many other caves, which are not open to the public you would first have to become part of the caving community. You'd have to have a genuine interest in conservation and preservation of these fragile environments. If you were willing to sign up as a joint venturer with the CRF and do some volunteer work (cleaning formations, helping to survey, helping to dig even) that is one way for you to see many caves that are not "open" to the public. Including this one. I'm sure though that Ursa Minor has a long list of people who'd like to get in there and it might be years before a novice in the community actually got in. I've done some amount of volunteering with CRF "Cave Research Foundation" and they're a bunch of great folks. They will take you caving if you're serious about caving and serious about conservation. Their main concern though is as you mentioned PC, is preservation of these fantastic karst systems that cannot be fixed if damaged. It makes perfect sense to keep regular tourists out. mountaineer wrote: it is still open to whoever can find it and has the gonads to explore it. Aww! You got me all excited! I did the figured it out and come find the cave isn't even in California! Eventually they will have to let people get in there to see it - at least in guided trips. They're being careful for the time being.